For all your Dog Training needs, Dog Bark Collars and Electronic Dog Fencing and Dog Training Remote Collars for off lead. Call Today. Product description:Get the PetSafe Small Dog Remote Training System at The Dog Line. The PetSafe Little Dog Remote Training Collar is designed for the small and sensitive type of dogs. With milder corrections to help train your dog in obedience. The PetSafe Remote Trainer for Small Dogs is suitable for training Small to Large sized dogs in short distances. The kit includes a fully waterproof receiver collar in case you would want to train on the beach or on the river. It features 16 static stimulation levels for flexibility as well as a +2 boost button for an added distraction. It can effectively transmit the signal from the transmitter to the receiver collar for up to 100m. This product is also available for rent. The PetSafe Small Dog Remote Training Collar is covered by a manufacturer’s warranty for 3 years. Any defects or malfunctions will be taken care of under warranty terms. You can train near the beach or the river without worrying about the safety of your dog being hurt by a malfunction or your equipment being destroyed by the water. The receiver collar is completely waterproof and submersible so it won’t cost you another collar if you play fetch in the water. The Small Dog Remote Trainer by PetSafe is designed for small to large sized dogs with neck sizes of up to 56cm. The adjustable collar strap will allow you to strap it on with a good and comfortable fit. Not recommended for working dogs that may go farther than 100m, this remote trainer is best suited for pet dogs being trained for unwanted behavior or short distance recall. The PetSafe Small Dog Trainer features 16 total levels of static stimulations. It includes 8 high levels and 8 low levels of static stimulations as well as a tone only mode for versatility. That amount of levels will give you enough choices depending on how you’re training your dog. The +2 Boost button is an added feature that delivers a static stimulation 2 levels higher than the current level. It’s usually meant for distracting or stopping your dog from doing something he isn’t supposed to be doing. Both Receiver Collar and Remote Transmitter are powered by 2 CR 2032 batteries each. The battery life may be shorter on the receiver collar as it uses more power to deliver stimulation compared to the radio waves being emitted by the remote transmitter. Always turn them both off to conserve as much battery as you can. Choose from 8 levels in Low or High and extra +2 Boost Button! The PetSafe Small Dog Trainer offers flexibility with 8 levels of “Low Stim” and “High Stim” which totals 16 different levels to fit your dog’s personality and temperament. It also features a Tone Only setting which can be used as an attention getter or a reward when training. Instant increase for instant control. The +2 Boost Button on the Small Dog Training Collar is a feature that delivers a stimulation, 2 levels higher than your current setting. This is best used for stopping or distracting your dog from getting into dramas. The Small Dog Training Collar from PetSafe features a waterproof dog collar for excursions to the beach or the park. The PetSafe Small Dog Training Collar - great for younger or smaller dogs with neck sizes of up to 56cm. The collar weighs only 64g so it should be comfortable for a puppy that’s ready for training. The PetSafe Small Dog Training Collar uses a CR2032 button battery. That way, you won’t need to stop training when your battery is running low. Simple pop off the old ones and replace them with new ones. It’s easy to replace and pretty cheap to get. Best when used for domestic dog training when at the local park or around the house. The PetSafe Small Dog Trainer is covered by a manufacturer’s warranty for 3 years to protect your investment. Experience the difference a Remote Trainer can make. 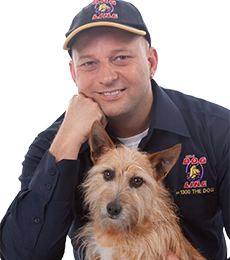 One of the commonly noticed wonderful experience is less time spent training and more time enjoying your dog. The PetSafe® Remote Trainer is easy to use especially since it uses advanced digital display that tells you what level of stimulation you are using. The Remote Trainer assists you in training and controlling your pet. What’s best is; control is done without using a leash on top of that; the range can cover up to 100 yards. At the push of a button, your control over your dog is sent remotely via a signal that is activated on your dog’s Receiver Collar. Although the stimulation is very annoying; it is very safe for your dog. Soon enough the dog will learn to associate his bad behavior and the correction he gets. You will be surprised to see a better behaved pet after a few weeks of using the device. PetSafe® Remote Trainers have been proven safe, comfortable, and effective to use for small and large breeds. The remote trainer can be used for any basic obedience command and correct misbehaviors. Improvements will definitely be noted for as long as the product is used consistently and correctly. Important: The Remote Trainer can cover a range of up to 100 yards. To achieve optimum coverage; you need to hold the Remote Transmitter in a horizontal position away from your body. Terrain, weather, vegetation, transmission from other radio devices, and other environmental factors also affect the coverage. Remote Transmitter: Controls the transmission of the signal to the Receiver Collar. Tone Only Button (Green): Sends an audible tone to the collar. No stimulation is delivered. Stimulation Only Button (Yellow): Delivers stimulation through the Contact Points on the Receiver Collar at the level shown on the Digital Display. When held down for 12 consecutive seconds, the Transmitter will “time-out”, and you must release and press the button again before additional stimulation can be delivered. +2 Boost Button (Red): When pressed, instantly adds a boost of 2 levels above current Stimulation Level. Cannot exceed the 8 High Stimulation Level. Stim Down Button (-): Decreases Stimulation Level by 1. Stim Up Button (+): Increases Stimulation Level by 1. Digital Display: Indicates Stimulation Level, pairing mode and battery status. See Prepare the Remote Transmitter section for more details. Transmitter LED Indicator Light: 3 colors indicate which function the Transmitter is currently performing. Green LED: Indicates tone is being transmitted. Red LED: Indicates stimulation is being transmitted. Also indicates low battery. Orange LED: Indicates pairing command is being transmitted. Receiver Collar: Delivers stimulation or tone on a signal from the Remote Transmitter. It is waterproof. Antenna: On Little Dog Receiver Collar only, receives the signal that is emitted from the transmitter. An antenna is not necessary for the Big Dog Receiver Collar to receive the signal. On/Off Button: Momentarily pressing and holding this button turns the Receiver Collar on and off. Contact Points: Deliver stimulation to your pet from the Remote Transmitter. Receiver Indicator Light : Indicates that a button is pressed and also serves as a low-battery indicator. Red LED: Indicates low battery and when static stimulation button is pressed. Green LED: Indicates good battery and when tone button is pressed. Also indicates when pairing mode is complete. 1. To remove battery, use the Test Light Tool or a coin and turn the battery cover counter-clockwise until the triangle sign is aligned with the unlock sign on the Transmitter housing (1A). 2. Install two (2), 3-volt (CR2032) batteries with positive (+) side up (1B). 3. To replace the battery cover, align the triangle sign with the unlock sign by pressing down and turning clockwise (1C) so that the triangle is aligned with the lock symbol on the Transmitter housing. 1. Press any button on the Remote Transmitter. 2. The Digital Display should activate and show the current correction level. 3. If the Digital Display does not show the correction level, then you may have inserted the batteries the wrong way. Remove the batteries and return them in the right position, ensure that the (+) side is up. 4. If the Digital Display still does not activate after putting the batteries correctly, contact Customer Care Center. WARNING: Battery may explode if it replaced with a battery different from what is prescribed in this manual. Never short circuit, mix old with new batteries, dispose in fire, or expose battery to water. Even in battery disposal; they should be protected from short circuit. Dispose used batteries properly. The screen display stays on for approximately 30 seconds after a button has been pressed. If no button is pressed 30 seconds after the display automatically shuts off. When the screen is shut off the transmitter goes into battery conservation mode. Pressing any button will cause the screen display back on. The symbols on the display are explained below. L sybols refer to low stimulation levels ranging from 1-8. It appears in the lower left corner before the battery indicator. H symbols refer to high stimulation levels ranging from 1-8. It appears in the lower right corner after the battery indicator. The battery indicator keeps you updated of your battery’s power level. It is divided into segments, 3 bars indicates high battery power, 2 bars indicates medium, 1 bar indicates low (replace soon) and no bar indicate critically low (replace immediately). Note: Red LED will flash 3 times every 5 seconds to indicate low battery. Transmitter LED Indicator Light Indicates that transmitter is ready to pair with Receiver Collar. Press Stem Down (-) button through the stimulation levels to activate display and begin pairing. Note: Red LED will also flash 3 times every 5 seconds to indicate low battery. 1. Use a small Phillips screwdriver to remove the screws. Just apply enough pressure for the screwdriver head to fit snugly into the screw (2A). 2. Push Battery Lid up according to the arrows stamped on the Battery Lid (2A). 3. Slide the Battery Lid out. 4. Install two (2), 3-volt batteries positive (+) side up (2B). Slide the Battery Lid into the Receiver Collar. 5. Reinstall the screws (2B). Do not over-tighten the screws. Replacement batteries (3-volt, CR2032) are available at many retailers. Contact the Customer Care Center or visit our website at www.petsafe.net for a listing of retailers in your area. WARNING: There is a high risk of explosion if replacement battery is not the same as what is prescribed in this manual. Never short circuit, mix old with new batteries, dispose in fire, or expose battery in water. When batteries are stored they must be protected from short circuit. They must also be protected from shortage even when they are disposed. Dispose used batteries properly. 2. Release the On/Off Button. In normal operating mode, the Green LED will flash every 5 seconds. It is an indicator that the Receiver Collar is on. Once it is on; it is then ready to receive a signal from the Handheld Transmitter. 2. Release the On/Off Button. Note: To extend the life of the batteries, turn the Receiver Collar off when it is not in use. Important: If the Receiver Collar is left on continuously, the maximum battery life will be two weeks. Important: The proper fit and proper placement of the Receiver Collar is important for training to be effective. The Contact Points must always have direct contact with your pet’s skin on the underside of his neck. 1. Turn off receiver collar. 2. Let your pet stand comfortably (3A). 3. Place the Receiver Collar on the dog’s neck; place it close to the ears. Position the contact points at the center just underneath your dog’s neck. Make sure it is touching the skin. Note: It is may be necessary to trim the hair around the Contact Points to ensure consistent contact. For hairy breeds; longer Contact Points are available by calling the Customer Care Center. CAUTION: You can trim hair but do not shave the pet’s neck as this may increase the risk of skin irritation. 4. The Receiver Collar should fit snugly. A good fit is one that can accommodate one finger between the strap and your pet’s neck (3C). 5. Allow your pet to be comfortable in wearing the collar for several minutes then recheck the fit. a. Put the collar on your dog’s neck and measure the length that you need. Mark the desired length of the collar using a pen. Give allowance for growth if your pet is young or grows a thick winter coat. b. Remove the Receiver Collar from your pet and cut off the excess strap following your marked point. Important: Do not cut the part of the collar containing the Antenna on the PDT00-13410 Little Dog Remote Trainer. c. Before you put the Receiver Collar back onto your pet, seal the frayed edge of the cut collar by running it over a flame. Pet’s Risk of Skin Damage. It is highly important that check the fit of your pet’s collar frequently. Regularly check for any skin irritation. If a rash is observed, discontinue the use of the collar for a few days. If the condition persists beyond 48 hours, have your dog checked by your veterinarian. Do not attach any leash to the Remote Trainer. Attaching a leash can result in pulling the Contact Points too tightly against your pet’s neck and can cause unnecessary pressure. If you need to use a leash; you may put a separate non-metallic collar on your dog’s neck and attach the leash from there. You may also use a harness for attaching a leash and/or tags while using the Remote Trainer. Please refer to page 2 for additional information. The slide buckle is used to prevent the collar from laying loose around your pet’s neck. The ridges must be face up; the collar will slip if improperly threaded. 2. Once off your pet’s neck, turn the Receiver Collar on. 3. Place the transmitter into pairing mode by pressing the down (-) button until the Digital Display shows P.
4. Press the Tone and Stimulation Buttons simultaneously (the orange LED should be lit) until the collar beeps twice, indicating it has learned the Transmitter ID. 5. Change the level to 1 Low by pressing the up (+) button on the transmitter and then press the Tone Button. The Receiver Collar should emit a tone, verifying that it is paired with the transmitter. 6. If the Receiver Collar does not respond, please contact the Customer Care Center. ● Teach one obedience command at a time. If you intend to correct misbehavior, do it one after the other. Introducing too many commands at one time may be confusing for your pet. ● As soon as you have introduced a lesson, be consistent with it. Correct your pet every time he misbehaves. ● Unless you can fully watch over him, it is recommended that you refrain your pet from situations where he is more likely to misbehave. ● If your pet reacts differently to the tones; either by hiding or acting fearful, try to redirect his attention to a simple and appropriate behavior, such as the “sit” command. ● This Trainer should be used on pets that are atleast 6 months old. ● Keep this trainer out of reach by children. Only those who know how to operate it should be allowed to use it. ● The training tones can be heard by other pets if they are within area of coverage. Ideally; training sessions should be done in areas away from other pets. WARNING: The Remote Trainer is not intended to correct or eliminate any form of aggressive behavior. Contact your veterinarian if you think your pet may be aggressive. See page 2 for more information on pet aggression. 1. Push the Tone Button (green) for 2 consecutive seconds. 2. Right after you release the button, reward your pet verbally with a praise, petting, or a small food reward. Spend around 3 to 5 seconds rewarding your dog verbally. 3. After a few minutes and repeat holding the Tone Button for 2 seconds and then again follow with praise. You may vary your reward so the dog becomes excited. The training stage is complete when your pet is already anticipating a reward when he hears the positive tone. Important: Always start at the lowest level and gradually work your way up. The Remote Trainer has 8 Low and 8 High Stimulation Levels. This allows you to choose the Stimulation that is best for your pet. Always start with the lowest level. Put the Receiver Collar on your pet to start to test which Stimulation Level suits him best. We are looking for the Recognition Level. This level is signified by a slight change in your pet’s behavior, such as looking around in curiosity, scratching at his collar, or flicking his ears. Once he gives this kind of reaction you can determine that it is his recognition level on the trainer. 1. Starting at Level 1 Low on the Digital Display, press the Stimulation Button (yellow) continuously for 1 to 2 seconds. Note: When the Stimulation Button is held down for 12 consecutive seconds, the Transmitter will “time-out”, and you must release and press the button again before additional stimulation can be delivered. 2. If your pet shows no reaction to the stimulation you need to repeat testing the stimulation level atleast several times before moving up to the next level. 3. Pet should not in any way VOCALIZE OR PANIC WHEN RECEIVING the STIMULATION. If dog panics or vocalizes, then THE STIMULATION LEVEL IS TOO HIGH AND YOU NEED TO LOWER THE LEVEL AND REPEAT THE TESTING PROCESS until you find the right level. 4. Increase the Stimulation Level one level at a time til your pet responds to the stimulation. 5. If pet continues to show no response even at Level 8 High, check the fit of the Receiver Collar to make sure that there is good contact. If your pet has long or thick hair, you may need to obtain a longer set of Contact Points. (Just call contact our Customer Care Center to order) Then go back to #1 and repeat the process. If after using long contact points your pet still does not respond; check pet’s hair; it may need to be trimmed around the Contact Points. If, after you have completed all of the steps above, your dog still does not show any reaction to the stimulation, you need to contact Customer Care Center or visit our website at www.petsafe.net. Pressing this button (red) sends a signal to the collar to issue a stimulation that is 2 levels higher than the current level. For example, if the Stimulation Level is set at Level 2 Low, pressing the +2 Boost button will stimulate at Level 4 Low. Note: The system cannot exceed the 8 High Stimulation Level as it is already the maximum level. 1. Use a separate, non-metallic collar and put it on your pet’s neck ABOVE the Receiver Collar. On that separate collar attach the leash that is atleast 10 feet long. Note: Be sure the extra collar does not in any way put pressure on the Contact Points. 2. Hold the leash and the Remote Transmitter in one hand while keeping your other hand free to guide your pet into a “Sit” position. 3. Press and hold the Stimulation Button with the device set to your dog’s Recognition Level. 4. Give the “Sit” command while continuing to hold the Stimulation Button. 5. Release the Stimulation Button as soon as your pet is in “sit” position, and give verbal praise. 6. Release your pet from the “Sit” command and play. 7. Repeat Steps 2 through 6 again until he becomes quick in responding. Note: If pet does not obey the “Sit” command, you need to repeat steps 3 through 6. Keep your pet close to you while teaching the “Sit” command. 2. Hold your leash in one hand and the Remote Transmitter in the other. 4. Give the command “Come” while using the leash. Continue to hold the Stimulation Button. 5. Gently guide your pet towards you using the leash. Pet should go towards your direction. 6. Release the Stimulation Button as soon as your pet comes towards you. Praise him for obeying your command. 7. As your pet comes close to you; back off a bit and praise him for the good deed. 8. Always praise your pet as soon as he returns to you. 9. Repeat Steps 3 through 8. 10. Practice the “Come” command several times until your dog readily obeys. After that practice, back away from him without giving a command. When your pet turns toward you, give the verbal command “Come” (WITHOUT STIMULATION) and praise him while you continue to back off. Praise your pet when he returns to you. 11. Use the leash to prevent your pet from running away. If your pet manages to run away from you, repeat Steps 3 through 8 until he obediently follows command. 2. Put your pet on his bed. 3. Hold your leash in one hand and the Remote Transmitter in the other. 4. Staying within 3 feet away from where your pet is lying. Move closer to the bed without saying anything to your pet. 5. Once your pet attempts to leave the bed, press and hold the Stimulation Button and give the “Stay” command. Continue to hold the button until your pet is lays back on his bed. It may be necessary to use the leash to guide your pet onto his place during training. 6. Praise your pet when as soon as he is back on his bed. 7. Allow your pet to settle down for a few seconds then play with him for a while. This allows your dog to realize that play is a consequence of following commands. 8. Repeat steps 1 through 5. Pets typically jump to get your or other people’s attention. If you do not want your pet to jump on you, then you, your friends or members of the family should discourage this behavior consistently. To do that; dog needs to be reprimanded every time he jumps on someone. After being reprimanded; his attention should be redirected to an alternate and acceptable behavior, for which he can receive praise. Note: It is best if your pet first knows the “Sit” command before introducing this command. 1. Set device to pet’s Recognition Level. 2. As soon as your pet starts to lifts his paws off the ground to jump on you, press the Stimulation Button and give the “Sit” command. 3. Release the Stimulation Button immediately once pet is in sitting position. Thereafter, verbally praise him. 4. If your pet ignores the stimulation, adjust the level by 1 notch higher. 5. Practice this exercise in several different areas and use different people as distractions. You have to make your pet follow your command even when there are distractions. ● A cool, shaded area in which to lie down, and plenty of water. ● An alternate activity, such as a favorite toy. ● Plenty of play, exercise, and attention. ● A yard free from rodents or prey that he may be trying to flush out. 1. Set the device to one level higher than your pet’s Recognition Level. 2. Place the Receiver Collar on your pet and allow him to be comfortable for atleast 10 minutes. After that time; take him out to the yard. It is important that there are no other people or pets should be in the yard, as you do not want your pet to associate the stimulation with anything other than his digging. The yard should be fenced so the pet can not run away during training. Leave your dog in that yard and go to a place where you can watch what he is doing. 3. From a window or area where your pet cannot see you, watch and wait until your pet starts to dig. 4. While your pet is digging, press the Stimulation Button and release it as soon as digging is stopped. Just press the button while your pet is in the act of digging, and do not say/show any verbal sign/command to him. 5. If your pet ignores the stimulation, increase the Intensity by one level. Increase level until he responds to the stimulation by stopping his digging. 6. Continue to watch your pet as he may choose another area to dig. Once he is starting; repeat the process above until he stops. 7. Do not allow your pet in the yard unsupervised. You have to be on the watch. Once training is done; take dog inside or out that yard. Chasing in dogs is an instinctive behavior that stimulated by moving objects. Some dogs have a very strong desire to chase which often puts them in danger. Do not allow your dog off the leash or out of a contained area until he has learned the “Come” command as he may go chasing something and go too far. Be consistent in correcting your dog each time he chases something. CAUTION: It is highly important that you and your dog remain safe while learning during on-leash training. Your dog should be on a strong leash, long enough for him to attempt to chase an object, but not too long for him to reach a road or other unsafe areas. It is also important that you must also be physically strong enough to restrain your dog when he tries to chase. 1. If your dog has not yet learned the “Come” command, keep him on a leash while training so you can physically stop him before he reaches the object he is chasing. 2. Set the device one level higher than your dog’s Recognition Level. 3. Set up a scenario that tempts your dog to chase an object. Common items could be cars, motorcycles, bicycles, etc. (do not use toys). 4. When the “chase” object comes in front of your dog, hold the leash firmly and allow dog some space to follow on the chase. As soon as your dog begins to chase the object, press and hold the Stimulation Button until he stops chasing. 5. 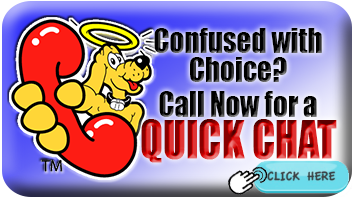 Immediately after your dog stops chasing the object; release the button, walk backwards and give the command “Come”. Then praise your dog as he runs/walks back to you. 6. Repeat the process several times until your dog is no longer tempted to chase. The easiest, safest and most effective way to prevent trash raiding is to remove garbage and tempting food from your pet’s environment. Dogs will not raid trash if there is no trash to begin with. You can use the Remote Trainer to teach your pet to stay away from these items but you must be prepared to correct your pet each time he approaches them. Again the most effortless way is just to remove garbage in your dog’s sight. 1. Set the device one Level higher than your pet’s Recognition Level. 2. Set a “bait” trash as a temptation for your pet to raid. 3. Position yourself somewhere he cannot see you. 4. While your pet’s mouth is touching the temptation, press and hold the Stimulation Button. Immediately release the button as soon your pet gets his mouth off the bait. 5. Do not say anything, as you want pet to associate the stimulation with his behavior, not with you. 6. If your pet does not respond to the stimulation, increase level by one notch and repeat the process of adjusting the level until the dog responds to the stimulation. 7. Repeat this process in several different locations with different baits to test dog’s response. ● The stimulation is very unpleasant, but it is safe to your pet. At what age of the dog can the PetSafe® Remote Trainer be used? ● Your pet should be old enough to recognize basic obedience commands such as “Sit” or “Stay”. Ideally; pet should be at least 6 months old before using the Trainer. After my pet is trained and has been obedient in taking my commands, will he have to continue wearing the Receiver Collar? ● Not necessarily but there may be a need to reinforce training by letting your dog wear the collarevery once in a while. Is the Receiver Collar waterproof? Will I really have 100 yards of range with the Remote Trainer? ● That is the maximum range coverage of the Remote Trainer; however the range of the Remote Trainer will also be affected by certain environmental factors such as terrain, weather, vegetation, as well as transmission from other radio devices. See also the “How the System Works” page for tips on maximizing your range. What is the longest time that the device can deliver stimulation to my pet? ● The Remote Trainer can deliver stimulation to your pet continuously for 12 seconds. The Remote Transmitter will time-out after this 12-minute period and the Stimulation Button must be released and pressed again. My pet does not respond after I press the button on the remote trainer. ● Check if the Receiver Collar has been turned on. ● The range may be reduced from the first time you used the Remote Trainer due to low battery either the Remote Transmitter or Receiver Collar. This can be the reason why pet is not responding; probably he is not within range. ● There are many outside factors that can impact the amount of range you have with the Remote Trainer. For a list of these factors, see “How the System Works” section. ● Test if the Receiver Collar is working. See “Test Light Instructions” section for details. ● Stimulation level may be too low. Increase the Stimulation Level. Refer to “Find the Best Stimulation Level For Your Pet” section for more information. 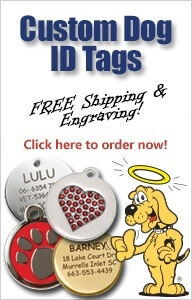 ● Make sure the Receiver Collar’s Contact Points get a good contact with your pet’s skin. Refer to “Fit the Receiver Collar” section for more information. The Receiver Collar will not turn on. ● Check to see if two (2) CR2032 batteries have been installed properly. See “To Insert and Remove the Batteries.” Section. The Receiver Collar is not responding when the Remote Transmitter is pressed. ● If no light comes out when any button is pressed on the Transmitter, check batteries. Batteries may not have been inserted properly. 1. Turn on Receiver Collar. 2. Hold the Test Light Contacts along with the Contact Points. 3. Press the Stimulation Button on the Remote Transmitter. 4. The Test Light should flash. Note: At higher Stimulation Levels, the Test Light will flash brighter. 5. Turn off Receiver Collar. Save the Test Light for future use. Note that if the Test Light does not flash, you need to replace the batteries and re-test. If Test Light still does not flash, contact the Customer Care Center or visit our website at www.petsafe.net. "I used this on my cheeky Toy Poodle, 'Spud'... Great for small and large dogs down the park - but don't let your dog get out of range. I usually say keep your dog within half of the distance the manufacturers say (just to be sure). Dogs need consistency and routine, Spud loved to run across busy roads - but with this, he never tried again. Brilliant and reliable, best conserve your batteries. " Included with each Dog Training product! New Year’s celebration is over and our dogs will face another noise turmoil - fireworks in celebration of Australia Day. I know you are excited but kinda worried for your dog, you know he’ll get anxious with the booms and bangs, and even the smell of fire-powder. EMMETT is a massage therapy technique for humans and animals. It is best for dogs who need relief from certain kinds of restrictions such as subtle pain and discomfort. Responding to a recall is indeed one of the crucial safety measures a dog needs to learn. However, it can be difficult.